Look good without compromising comfort by dressing in clothes that fit your body shape and enhance your natural assets. Follow these fashion tips to find clothes that fit and flatter. For ladies more gifted in the frontal area, choose classic cut tops with slightly curved V necklines and three fourth sleeves. Pair with bootcut jeans or a-line skirts. This will help emphasize your chest without being too revealing. For mavens donning an hourglass figure, pick tops with scooped or v necks and pair it with dark skinny jeans and skirts that fit at a slim line to emphasize those gorgeous curves. For figures with smaller bust lines and wider hips, create the illusion of a fuller bust with fitted camisoles and tanks that have sweetheart necklines with ruched details at the center. Bootcut jeans and loose, high-waist skirts balance out wider hips and emphasize a narrow waist. 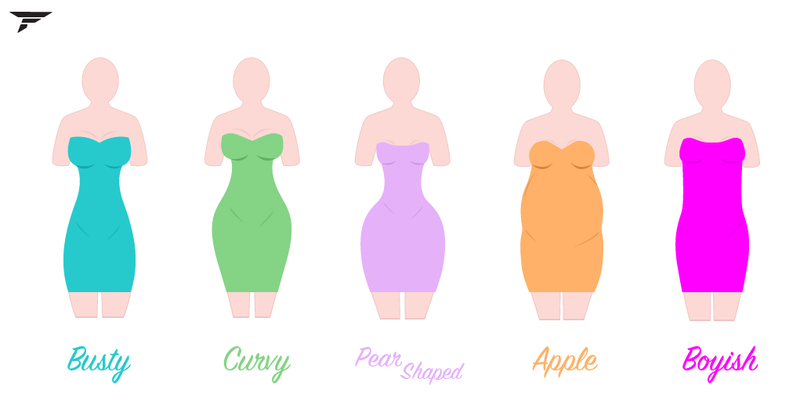 For damsels with relatively smaller bust and hips or apple-shaped figures, choose traditional v-neck tops that are slightly larger than your bottoms. Contrast dark tops with light washed jeans to add curves to the lower half of your body. Girls who have a boyish frame should opt for tops and bottoms in the same proportions. High necklines, loose kaftans and swingy tops detailed with keyhole and sweetheart necklines are feminine while still flattering your frame. The Ultimate Style Guide premieres Tuesday October 20 at 22:00 (GMT+8/GMT+1).